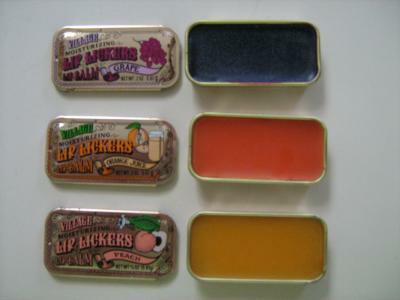 When I was younger, I used to have lip balm in a rectangular gold tin. I believe it was old fashioned lip balm. Does anyone know where I could get that now? I think you might be talking about "Lip Lickers" Lip Balm which was made by Village Bath Products. It came in a little gold tin. My favorite flavor was strawberry. I think Village Bath has gone out of business, but someone has it for sale on Ebay. The Ebay listing says it is brand new, never used. Buy-It-Now price: $32.95. Amazing! Wish I hadn't pratically devoured every tin I had when I was little! Hope this helps. I don't know where you buy that kind, but I make my own. Melt 1 part beeswax with 5 parts grapeseed oil...you have a lip balm just like Burt's Beeswax, but at a fraction of the cost. It's great for gifts also. Save old makeup jars and containers and use them for the salve. You can add peppermint essential oil or wintergreen essential oil for a great fragrance. If you want it colored, use food coloring. Everything is safe for children and adults. I remember this brand of lip gloss. I loved it too, when I was younger. Although, I don't remember all the flavors, but I do remember raspberry & chocolate mint, I think. I remembered what the tin looked like before seeing the photo above. Great product it was! I'd not thought of it, in many years. The list goes on. 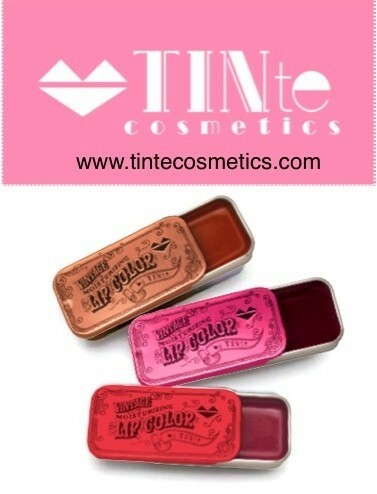 Sometimes a tin or 2 appears on ebay, but they are quite expensive for an old unwearable lip gloss... but fun to look at. I remember having those when I was growing up. The lid would slide off and they would fit nicely in a purse or pocket. One of the best lip balms that I have ever used comes in a tin too, but a round one. It is Badger Lip Balm. I've seen it in health food stores or you can get it online. Great stuff! Try out VintageSister.com! They have quite the selection. Check ebay. Search Vintage Village Lip Lickers. It's awesome! You can get them on ebay right now! It's nuts. Search vintage lip lickers. Hi its Gina Marie the village lip balm was my favorite. I had a lot of different flavors. Pioneer woman has them in her store.